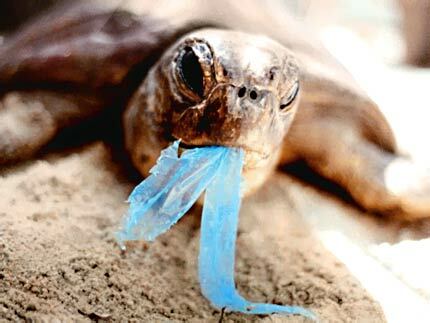 In a victory for people, the planet, our oceans, turtles and other marine life, the Los Angeles County Board of Supervisors last Tuesday voted to enact one of the nation's most aggressive bans on plastic bags. The ban covers all unincorporated areas of L.A. County -- an area with over one million residents -- and applies to grocery and convenient stores. An exception will be made for plastic bags carrying vegetables or raw meat so they aren't contaminated by touching other groceries. Sixteen areas, including Los Angeles, Tampa and Cleveland, have unhealthful amounts of lead in the air that violate national standards, the U.S. Environmental Protection Agency announced Tuesday. The area is attracting many companies focusing on green energy and transportation. It already boasts about 300 such firms with 20,000 jobs, business groups say. San Diego has hit a new high-water mark for recycling — 66 percent of the waste stream in 2009 — according numbers released Monday by the city. Wilshire Bus Lane Battle on the Horizon? The planned Wilshire bus-only lanes, which stretch 8.7 miles along from Westlake to West LA (but skips Beverly Hills), made a leap forward on Monday when Metro released its staff recommendations for the rush-hour lanes. Metro's board will vote on the plan on December 9th, with hopes of moving the $31 million project to a 2012 opening--it's intended to shave around 15 minutes off a crosstown commute and get 10 percent of drivers to switch to the bus. Well, like most transit projects here, this is one is not without controversy. Betty Sugiyama, 84, had taken up shopping since she retired from a career in Little Tokyo bookstores, her sister Mary says. Then a stranger shoved her onto the train tracks.